The Tinderbox Senior Youth Theatre will be performing in this youth festival at The Regent Theatre in Stoke. It is one of the Midland’s largest stages. Youth theatres and dance companies will perform pieces in commemoration of the ending of WW1. We are VERY excited to take part! Alongside Hecate Arts and Peak Ballet, the Senior YT will perform their devised WW1 drama. The audience walk along the path from Cromford Mills to the church and watch our commemorative pieces. 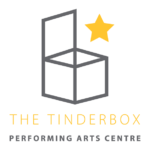 The Tinderbox Infant Youth Theatre will perform a promenade version of this classic tale at The Tinderbox. The audience will follow Alice’s journey through wonderland! The Daytime Singers will perform show songs and our Christmas repertoire to Winster and Elton Luncheon Club. Such a fun bunch! Always good to have an audience sing along too! All of The Tinderbox choirs (The Singers and TindeRocks-children) will perform in St. Helen’s Christmas Carol service, in Church Town, Darley Dale. We will be singing along with the traditional carols and performing our own Christmas repertoire. Come along for festive fun!